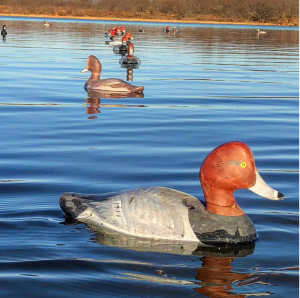 If you are a beginner when it comes to hunting for ducks, you then are sure to have a lot of questions about how to get started. 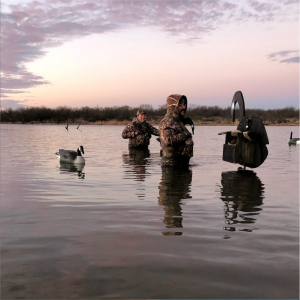 The professional guides at Silver Creek Guide Service has put together so helpful information for How to Hunt for Ducks. Some very common questions include: Where do I go to hunt? What kind of gun do I use to hunt ducks? What should I wear? What kind of license do I need? We can help to answer all of these questions and more. Check out our FAQ section to learn more or contact us to learn more. Where Can I Find Duck To Hunt? This is a great question! Scouting is a very big part of duck hunting; there has to be ducks to hunt for them. It’s a great idea to invest in a good duck caller that will bring in the ducks, as well as some high-quality decoys. These items do not guarantee ducks; you will still need to scout the area and this is great to do with someone experienced in scouting for ducks. Duck hunting season is during the wet and cold party of the year so it’s very important that you have the appropriate clothing and supplies. You will want to wear warm and waterproof camouflage hunting gear. We can’t stress enough how important it is to wear waterproof clothing. You don’t want to be wet and cold all day. Waders are a great way to ensure that your feet stay dry and warm. Always bring spare socks! What Type of Firearm Should I Use? The most commonly used gun used for hunting ducks is the 12-gauge shotgun. That doesn’t mean it’s the only gun that can be used but it is easier for a beginner. If you have any questions about what type of gun to use, Contact Us, we welcome calls and questions. What Do I Need to Hunt Ducks Legally? Hunting legally is #1. Silver Creek Guide Service follows the laws 100% so you can feel confident when you are hunting with us. To learn more about the laws, check out this website. Silver Creek Guide Service is located on Weatherford, Tx and we are the premier place for guided duck hunts in North Texas. Our guides love helping hunters of all skill levels hunt for dunk and dove. If you still have questions about How To Hunt For Duck, Call Us!